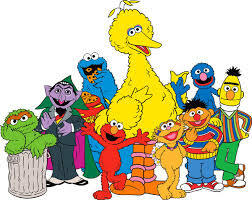 Happy Belated Birthday Sesame Street! The world celebrate Sesame Street’s 40th Birthday, on Nov 4th 2009, and frankly that evoked so many good memories I have of my childhood. I looooooved Sesame Street..and I still do! Sesame Street is my first introduction to English. Back then, I watched Sesame Street on RCTI (Indonesian Channel) still in English language, with tiny subtitles below (unlike today’s re run which use dubbing). So I learned a lot about English words, pronunciation, and structure. I remember, I learned about the English words for colors, numbers, animals by watching the shows.. Imagine, how many 8 year old Indonesian child could know that the English for “Badak” is Rhinoceros? I even know how to spell it then. Thanks to watching a segment in the shows where they rimed “Rhinoceros” over and over again, while showing a picture of the animal. Sesame Street got me interested about English and somehow learning that language is never difficult for me since. I dare say that Sesame Street is the reason why I am good in English (without any intention to brag). That’s way I wish they will aired the original version again in Indonesian TV, so that Indonesian children can learned about that International Language early on. Thanks to Uncle Google, I manage to dig up several clip that I really really really loved back then on when I was a little girl. It turns out there are hundreds of Sesame Street videos on YouTube. Wooow..it really made my day yesterday, watching those old video of Ernie, Bert, Big Bird, Cookie Monster, Kermit, Miss Piggy, Grover, Count Dracula, and what I love the most..Elmo! So, to commemorate what I think as the BEST Children TV Shows ever, I want to share my best moments of Sesame Street. This is another funny video when Grover teaches the different between Near and Far. The funniest character on Sesame Street I think is Ernie & Bert. How Ernie always annoys Bert is hilarious. This is one of the funniest clip when they were fighting about reading the newspaper. Those are some of my favorite moments on Sesame Street. If I had time, I will try to search for more clip of Elmo and Cookie Monster. Those two are my favorite character.